The Supreme Court of Georgia has agreed to hear a case that could send ripples across the legal landscape. The case involves a question of whether a disabled 8 year old girl with cerebral palsy can be excluded from the courtroom to avoid the chance that a jury would make a decision based on sympathy rather than on the evidence. The lawsuit filed by the 8 year old's parents alleges her medical problems arose because the mother's obstetrician did not perform a c-section soon enough, depriving the baby of oxygen during labor. The party has submitted a lifecare plan asking for $19 million for future medical care and equipment. The defense asked to exclude the young child during the liability phase of the trial, and the judge held that the girl could be in the courtroom during jury selection, but not during the liability portion of the trial except at those times that her presence is "essential and relevant to witness testimony releated to her medical conditions." Noting the issue was one of first impression for state appellate courts, Ellington wrote that although parties to civil actions in Georgia have the right to be present at all stages at trial, that right is not absolute. The panel decided that a trial judge can exclude a plaintiff from the liability phase of a bifurcated trial if the judge makes the following findings in a written order: "(1) the plaintiff is severely injured; (2) the plaintiff attributes those injuries to the conduct of the defendant(s); (3) there is a substantial likelihood that the plaintiff's presence in the courtroom will cause the jury to be biased toward the plaintiff based on sympathy rather than the evidence such that the jury would be prevented or substantially impaired from performing its duty; (4) the plaintiff is unable to communicate with counsel or to participate in the trial in any meaningful way; and (5) the plaintiff is unable to comprehend the proceedings. "When all of those circumstances exist," Ellington concluded, "the plaintiff's presence is not truly an exercise of his or her right to be present, because the plaintiff is incapable of making such a conscious choice. As in this case, the plaintiff functions almost as an exhibit, as a piece of evidence." For more information, please follow http://www.dailyreportonline.com/Editorial/News/singleEdit.asp?l=101399618061 . 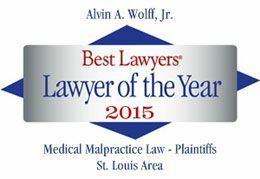 If you or someone you know has been injured as a result of negligent medical care, please feel free to contact our office for a free consultation.